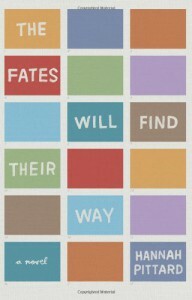 The Fates Will Find Their Way tells the story of 16 year old Norah Lindell who goes missing one night. The boys in the neighborhood who knew her best tell their story and as they grow into men still can't shake the question that has bothered them since they were 16: what if? What if she hadn't disappeared? What if their group of friends hadn't grown close in the wake of her disappearance...would they still be friends? What if they really knew what each other was up to? The most important what if of all, what happened if..Norah had just run away. Was she leading a different life somewhere else..what would she be like at their age? What if Norah had died that night? How did it happen? What if she hadn't disappeared, would her little sister turned out the way she did? What if this happened, what if that happened? The disappearance of Norah shapes the boys lives in ways they never expected or thought it would. This book confounded me. It's not a light read, yet I couldn't tear myself away from it. While I couldn't tear myself away from it, I had a few problems that plagued me all the way through it. One of the problems I had was that it was really hard to follow the time period transitions. The transitions jumps from the time to when the boys were 16 to when they are adults, to when Norah might be an adult back to the boys being 16 then to them being adults again. By the time I figured out which time period the book was in, it was onto a new one. The unpredictability of knowing what time frame you'll be in is part of the charm of this book. One of the hardest things about this book were the voices of the boys in the book. I just couldn't get past that the author was female and heard her voice a lot of times telling their story instead of the boys voices coming through, if that makes sense. Despite all the problems I had with this book, and the fact it's not a genre I normally read, The Fates Will Find Their Way is still stuck in my head, and I'd like to re-read just to pick up everything I missed the first time around. 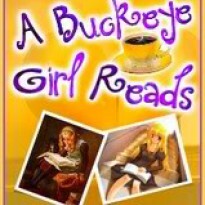 Fans of literary fiction will love this book, but if you are expecting a HEA, this might not be the book for you.